Many of the world’s leading pharmaceutical companies utilise SilverSkin™ to maintain the integrity of their temperature-sensitive cargo in the supply chain. Awarded the 2018 Queen’s Award for Enterprise in the International Trade category, the SilverSkin brand is globally recognised in the market. The SilverSkin™ thermal pallet cover range is both chamber and real-world tested to ensure compliance with GDP regulations . Manufactured from a range of radiant barrier materials that suit all performance and budget requirements. Our teams are on hand to advise the appropriate level of protection required for your particular temperature control requirements. SilverSkin™ pallet covers have been specifically designed to protect against critical control points within the global distribution process. They enable cost-effective transportation of pharmaceutical products within specified label claim parameters. Ensuring an unbroken cold chain and minimising the need for excursion reporting. 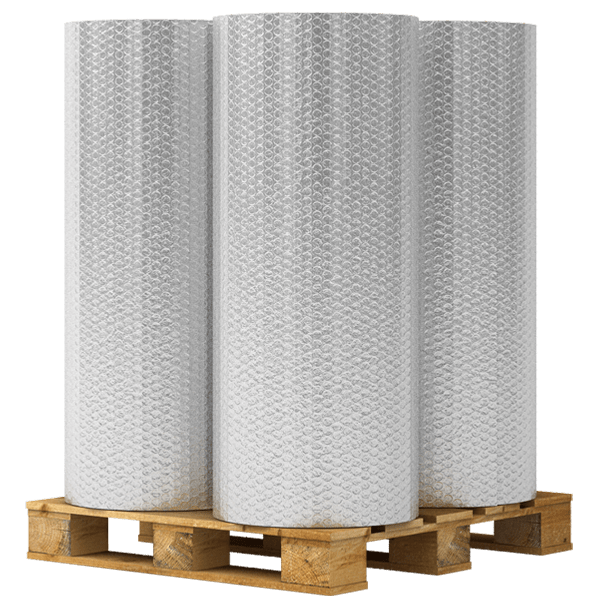 Manufactured from strong flexible materials, they are able to cope with even the most challenging packing and warehouse conditions. Whatever your requirement, materials, thicknesses and sizes can be matched to different operational challenges. Silverskin™ pallet covers are manufactured from a range of single and multi-layer materials. They represent the affordable option for multi-modal temperature control transport, and are extensively employed to protect temperature-sensitive cargo in transit. With the increasing globalisation of pharmaceutical manufacture, the need to protect temperature sensitive products travelling between extreme climatic regions continue to grow. The risk of temperature excursion when shipping inter-regionally and cross-hemisphere presents many temperature control challenges. Our pallet covers are water resistant, provide a tamper-evident barrier and have minimal storage requirements. When using Silverskin™ pallet covers, you can be sure that product wastage is reduced, adherence to regulations is met, and patient safety is optimised. The benefits stack up. Covers can be purchased either pre-formed , as rolls and kits to best suits your operational and thermal needs. * For use as additional protection. Under controlled conditions.